Eight-page booklet for children to write about themselves including their favourite things, plus personal information such as their age, height, hair colour, eye colour etc., plus a space to trace their hand, space to write a wish list and their friend's birthdays.... 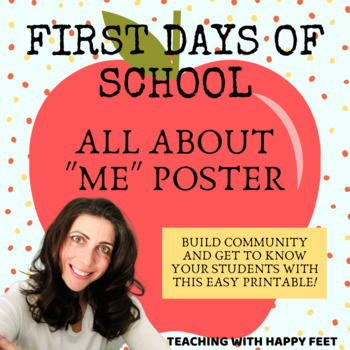 This back to school resource is a great way to find out about your students. Even young children can complete the Activity Sheet and tell everyone all about themselves. A worksheet I use at the start of September with my new class to find out about them.